Well, I guess since Prince didn’t have one, you don’t need one either . . .
For your reading pleasure, an excellent but brief article titled, “Estate Planning and Administration – Be Prepared for the Year That Follows the Death of a Loved One.” Worthy of a read if only to put you on notice that there’s a lot to do following the death of a loved one. Estate Administration is a Process. The estate administration process generally takes one to three years to complete and is supervised by attorneys. 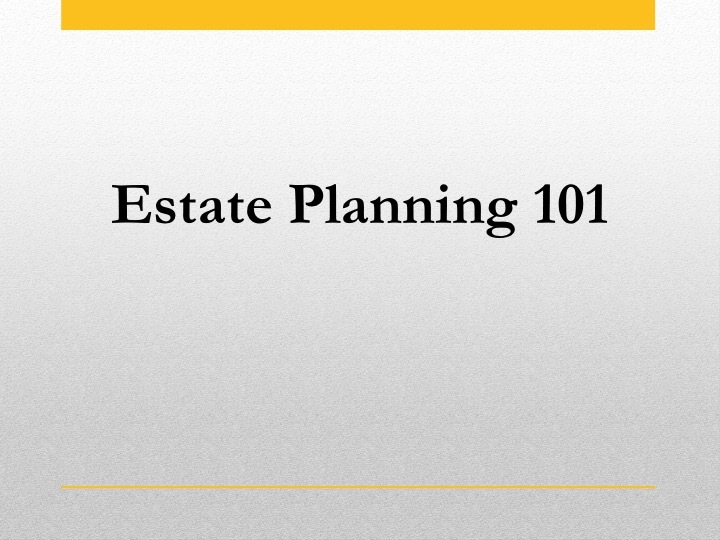 There are numerous steps in the estate administration process, including the following: (1) get the executor appointed by the Surrogate’s Court, (2) open an estate checking account, (3) gather assets, consolidate and retitle them in the name of the estate, (4) address claims and expenses, (5) obtain date of death values for all assets, including appraisals for hard to value assets, (6) prepare estate tax returns (federal and state), (7) prepare income tax returns (including decedent’s final life income tax return and the estate’s income tax return, (8) obtain a closing letter and appropriate tax waivers from the IRS and state tax authorities, (9) distribution of the estate and funding of trusts, including allocation of assets among various beneficiaries, and (10) prepare accounting (formal or informal) and obtain receipt and releases from the estate beneficiaries. Some of these steps may not come into play depending on the size of the deceased’s estate and how it’s set up. Nevertheless, lots to do. What is decanting and how does it relate to trusts? The term “decanting” sounds mysterious, but in reality, decanting is simply a form of trust modification initiated by a trustee. The trustee accomplishes the modification by moving assets from one trust to a new trust with different terms. Estate planning attorneys draft trusts designed to last for generations based on assumptions about the beneficiaries that may bear no semblance to reality. Decanting then stems from the desire to make changes to an otherwise irrevocable trust. On becoming a trustee one enters a relationship which is governed by rules and bounded by limits. A trustee who thinks of himself or herself as controlling the relationship is far more likely to encounter serious trouble than a trustee who recognizes that the more practical characterization is that of a faithful partner with the grantor and the beneficiaries, in fulfilling the trust’s objectives. There’s a misconception out there that if you use a revocable living trust in your estate planning, you avoid probate and save on all those costs associated with probate. Well, maybe and maybe not. As joint tenants with rights of survivorship–it will avoid probate. In so-called POD or Payable on Death accounts–it will avoid probate. That allows for you to name beneficiaries–a life insurance policy, for example–it will avoid probate. In a revocable trust–it will avoid probate. That doesn’t amount to much–you may avoid probate, or at least be eligible for some sort of simplified probate. Put all that together, and you may avoid probate. But if you have a will, it will need to be proved valid in court–usually a routine process. If you own property that doesn’t fall in one of the categories I just listed, it will probably have to go through probate. Bottom line, you may be able to avoid probate if you do everything right, own all of your property correctly, dot all your “i’s” and cross all your “t’s.” But if you don’t . . .
That said, to the extent that you do own your property as described above, you reap the big benefit of probate: You keep things private. For example, if your will says who gets the Picasso that hangs over the fireplace and who gets the cabin in the mountains when you die, anybody with the time to go down to the court and check can find that out. If, however, you say who gets what in your revocable trust, nobody has to know except for the people receiving the property. Maintaining your family’s privacy and saving time are the main benefits of avoiding probate to the degree possible. Don’t believe me? Ask Jackie Onassis’s family. Now, about those costs. Yes, there are costs to probate. Attorney’s fees. Executor’s fees. Court costs. They all add up and can be expensive. But you know what, it costs money to administer a trust when you die: Attorney’s fees, again. Trustee’s fees, again. But typically no court costs. So yes, your estate will probably save money by avoiding probate, but your estate will still spend some money. One more thing, a thing about revocable living trusts as an estate planning tool: They are predictable. You set them up. You outline all your plans, appoint trustees you trust, and tell them what you want them to do–in writing–and it’s all so predictable and happens almost seamlessly. You turn that all over to the court in a probate proceeding, and predictability goes out the window. Revocable living trusts are the way to go–for most people. NFA Firearms in an Estate: What’s an Executor (or Trustee?) to Do? You’re the executor or personal representative of an estate (they’re the same thing, by the way) or a trustee of a trust. The owner of some NFA firearms has died, and you’re left to deal with the aftermath. (Of course, the real “owner” of any NFA arms in a trust is the trustee, but generally, the initial trustee is the grantor of the trust, who we on the outside looking in, view as the owner.) What can you do with the NFA firearms? If you turn them over to the decedent’s heir under the will or the beneficiaries of his trust, do you have to pay the transfer tax? If there are unregistered NFA firearms in the estate, these firearms are contraband and cannot be registered by the estate. The executor of the estate should contact the local ATF office to arrange for the abandonment of the unregistered firearms. NFA firearms may be transferred directly interstate to a beneficiary of the estate. Hmmm. This sounds like intestacy, but is that all? Does “under the laws of the State” mean the same thing as “operation of law” (see below)? Such transfers are not taxable transfers because they are not “voluntary”; that is, the executor, personal representative, etc. must follow the terms of the will (or trust?) or law. He or she has no choice. That’s all fine and dandy, but are transfers from trust to beneficiaries tax exempt? Come on. Tell us BATFE. You can do it. Operation of law would seem to include transfers mandated by language in trusts, trusts which are created under state law, laws that include fiduciary standards that compel trustees to carry out the wishes of the grantor of the trust, whose wishes are stated in the language of the trust. I’m hanging my hat on that. There are a couple of other things I’d do to make sure that hat fits in every circumstance, but I won’t go into that here. To file an estate tax return–if necessary. To prove to the life insurance company that the insured has died. To transfer ownership of cars, trucks, boats, and any other titled vehicle. Order multiple copies, maybe 10 or more. Though some will be satisfied with a copy of a death certificate, many will not, and if you don’t have an original at hand, things come to a stop. So place ordering death certificates at or near the top of your to-do list. In Wyoming, go to the Office of Vital Statistics at the Wyoming Department of Health. The cost is $10.00 per certificate. In Utah, go to the Office of Vital Records of the Utah Department of Health. The cost is $18.00 per certificate.